Upon your arrival in Pangkalan Bun Airport direct transfer to Kumai. It will take about 20 minutes then transfer to the houseboat, On board crossing Kumai River in approximately 15 minutes to reach Seikonyer River, the main river in National Park. Boating up the river to see Orangutan feeding in Tanjung Harapan at 15.30. Lunch will be served on boat by our own cook. At 16.30 return back to the boat and continue our tour to observe Proboscis monkeys along the riverbanks. Proboscis monkeys are being endemic animal that can be seen only in Borneo. Dinner and Overnight on the boat. After breakfast boating up the river to Pondok Tanggui, the second rehabilitation center. 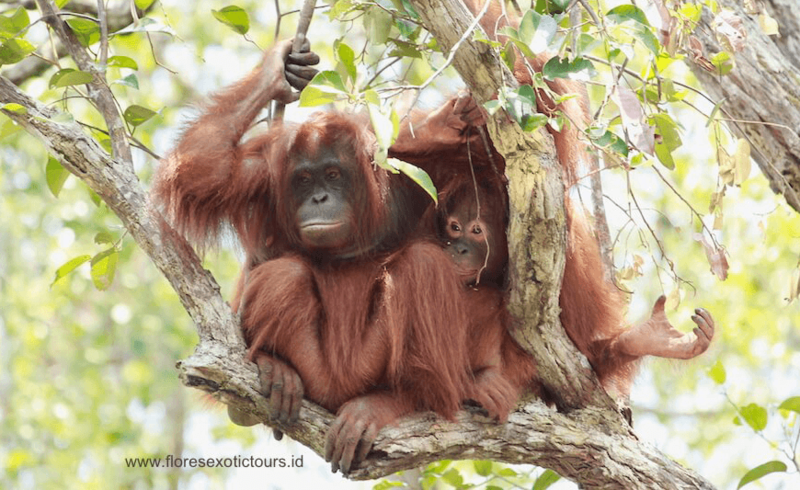 Enjoy the orangutan feeding at 09.00 – 10.00 AM. Back to the boat and boating up the river to reach the highlight of the National Park named Camp Leakey. It will pass the black river which is full of wildlife within such as many kind of birds, primates, fish, also crocodiles. Lunch will served on board by our own cook. On arrival in Camp Leakey hiking up into the Camp to see an information center. Then at 14.00 pm trekking up into the forest to follow the orangutan feeding. At 15.00 return back to the boat afterward boating down directly to the nipa palm area to see thousand of firefly. Dinner and overnight on board. After breakfast on board then boating down direct to Kumai then direct transfer to Pangkalan Bun airport for your next destination.